I am visiting Kathmandu in October and wondering if I should stay in Themel or Nagarkot. Themel is more touristy and has more hotels. Nagarkot is a bit far, but is more unspoiled. I would prefer to stay in Nagarkot, but need to know how much extra time/driving I will need to stay in Nagarkot. Nagarkot sits up in the hills surrounding Kathmandu, about 25 kilometers away. You would be looking at an hour to an hour & a half on average to downtown Kathmandu (maybe more during peak traffic times). An hour's drive from downtown-Kathmandu to Nagarkot is worth the time. 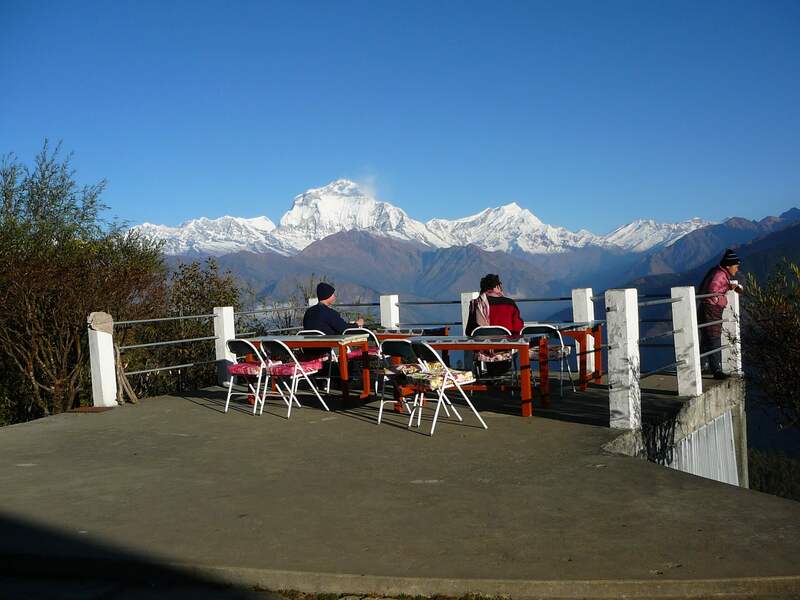 Nagarkot provides picturesque views of sunrise and sunset (in a good weather condition); scenery of the unblocked Himalayan range and panoramic views along the way. I definitely would have taken Nagarkot tour. And by the way, it's Thamel; not Themel. No offense. Not the answer you're looking for? Browse other questions tagged nepal kathmandu or ask your own question. Is it possible to buy outdoor clothing in Northern India/Nepal? Nepal: How bad is the rainy season? Onward ticket for boarding a flight to Kathmandu?